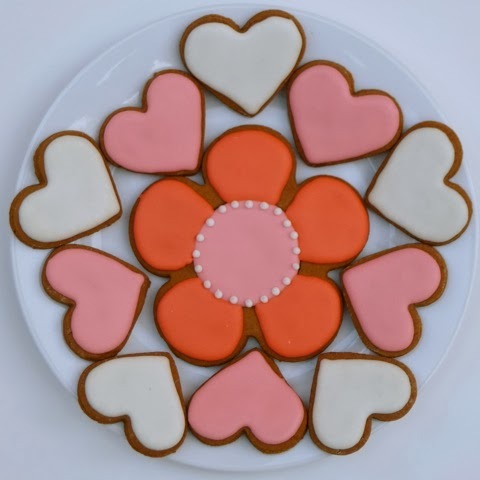 Nina made simple cookies this year - they make a fun arrangement on the plate. 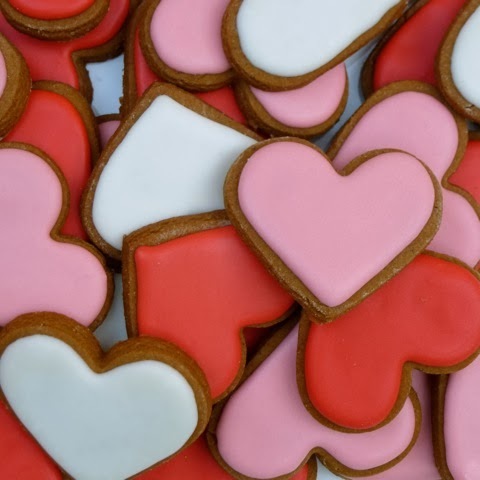 I love these little bite-sized "pop in your mouth" hearts - or maybe they are two-bite cookies? I see they are my favorite ginger cookies. Are you are sending me some? I hope! YUM! Gracie's classmates and teachers are getting these. I sent you a different kind of yummy cookies that I think you'll love! YES!!! My all time favorite cookie is Oatmeal with lots of raisins and walnuts and the ones you sent to me are delicious! But don't tell the gingerbread man . . .